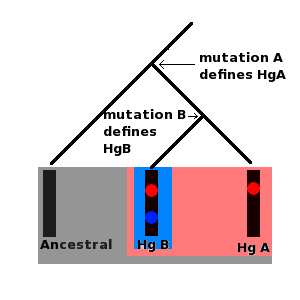 This entry was posted in Culture + Migrations, Genetics, Interdisciplinarity, Linguistic contacts, Other language families and tagged Basque, Genetics, haplogroup, historical linguistics, loan word, mtDNA, mutation, R1b, Vasconic, Y chromosome by Bjarne Simmelkjær Sandgaard Hansen. Bookmark the permalink. 1) On linguistic side, Vennemann’s theory is very-very far from accepted. Thus, the proposed Vasconic area cannot be proved now (Especially because we know Iberian from Easstern Spain that is definitely not Vasconic). 2) On methodological side: R1b appears on Iceland, Scandinavia, Germany and Italy as well. Would you attribute this too to Basques? 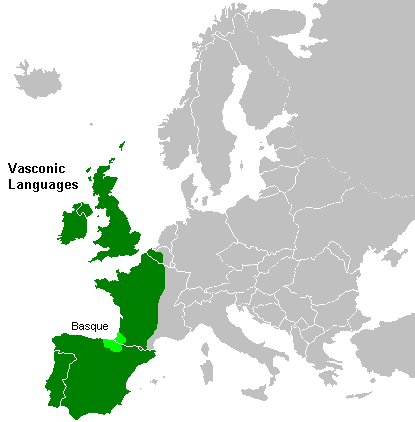 3) Why Basques? You could also say, Celts. 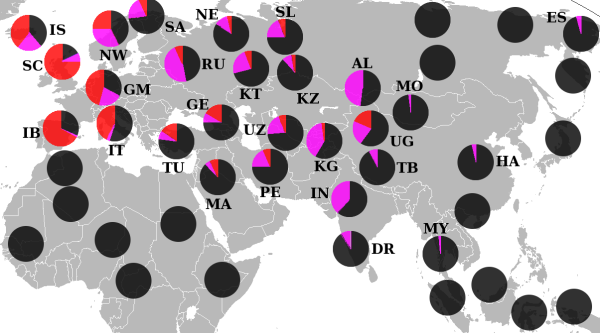 The distribution is fairly ok, actually better than in case of the Basque, especially because we know about Celts in Italy and Germany, for instance (+ some intermarriage with Scandinavians in Viking Age). So, how could you exclude this alternative scenario?